Gerry Russell has lived and worked in Bolton for over fifty years and was one of the five people responsible for the design and building of the town’s World famous Octagon Theatre, which opened back in 1967. Born in 1944 and raised in the West Midlands town of Wolverhampton, Gerry has enjoyed a life-long interest in all matters electrical, including stage lighting and craftwork. During his last year as a sixth form student, Gerry took a part time job with the stage lighting team at the Wolverhampton Grand Theatre, a position he absolutely loved. He entered Loughborough Teacher Training College in 1964 and, alongside craftwork, chose drama as his second study. During his time at Loughborough, whilst most drama students honed their acting skills, Gerry designed and built a new lighting control system for the college theatre. In 1965 Gerry became involved with four other students in a college project to design a small, flexible theatre which would incorporate three forms of staging; Round, Thrust and Open. A working model was successfully built and, as one of the four students involved in the project hailed from Bolton, it was suggested that they could perhaps actually build a theatre in the town. Bolton had no such flexible theatre in existence at that time. A very important visit up to Bolton from Loughborough was duly arranged to meet with the town’s Planning Officer and a great deal of interest was shown in the ideas. The council had already decided that Bolton needed a new theatre and a site had been allocated, but spending a great deal of money on a huge civic theatre, when all others of this type and scale had closed down, was not viable. Gerry and his equally youthful colleagues met the Mayor of Bolton, the Town Clerk and the Borough Architect and in very quick time it was realised and agreed that their project was the answer to the aspirations for a theatre in the centre of Bolton. After involving their Loughborough Drama Lecturer, Robin Pemberton-Billing, and making several more important visits up to Bolton, the new theatre project was agreed with the full support of Bolton Council. Mr Pemberton-Billing resigned his lecturing post at Loughborough to take charge of the Octagon Theatre project whilst Gerry and his student friends completed their courses. Gerry had already decided that teaching was not the career for him but instead he would move up to Bolton to work in the new theatre he had helped design and create. From the outset, Gerry was involved in the design of the initial lighting and sound systems for the Octagon Theatre. When the theatre was completed and opened remarkably quickly, by 1967, Gerry was its first ever electrician and stayed in the post for two years until he had decided that Bolton would be his permanent home for life and he needed a fresh challenge as a young man still only in his mid-twenties. 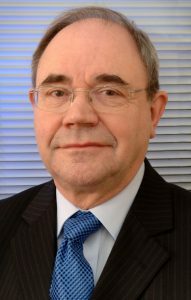 In 1982, Gerry started his own business venture in Bolton, G N Systems, which he ran for over thirty years until retiring in November 2013. Back in 1999, G N Systems was invited to sponsor and support Bolton Hospice and, in very quick time, Gerry found himself heavily involved in fundraising for the Hospice and a member of its Fundraising Committee. He became a member of the Board of Trustees and Company Secretary at Bolton Hospice, a post he proudly held until 2017. In 2000, Gerry attended a Big Band Night at Rivington Barn performed by Chris Wormald and his award-winning Smithills School Senior Big Band. He was amazed at the professional standard and presentation of the band and, like everyone in the area, knew of the excellent reputation of the many champion Smithills bands and their conductor but had never experienced or heard any of them perform in person. Always looking for ideas to raise funds for Bolton Hospice, Gerry contacted Chris with the suggestion that G N Systems might sponsor a concert by his Smithills bands at the Victoria Hall in support of Bolton Hospice. The answer from Chris was an immediate yes and so the relationship between Gerry, Chris, the musicians of Smithills School and G N Systems had begun. Although both Gerry and Chris have since retired from their positions at G N Systems and Smithills School respectively, their mutual respect and continued love for musical involvement and charity fundraising continue undiminished and both very happily and productively through their association and involvement with the Eagley Band, for whom Gerry is also a Trustee. 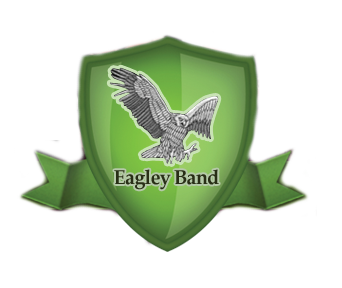 Gerry is very proud, honoured and delighted to be the President of Eagley Band.